Official Photos Of The White Air Jordan 10 “OVO” Have Landed! Drake and Jordan Brand continue to tease us with the Air Jordan 10 “OVO." After the two colorways released at an OVO pop-up shop in LA a few weeks ago, the White pair has been rumored to release sometime soon. The Black pair and both of the Air Jordan 12s have kept it low-key, but all we can do is wait and hope they release as well. Signifying the release may be sometime soon, official photos of the White Air Jordan 10 “OVO” have just surfaced. White uppers complimented with Stingray texture leather are complimented by a translucent sole. 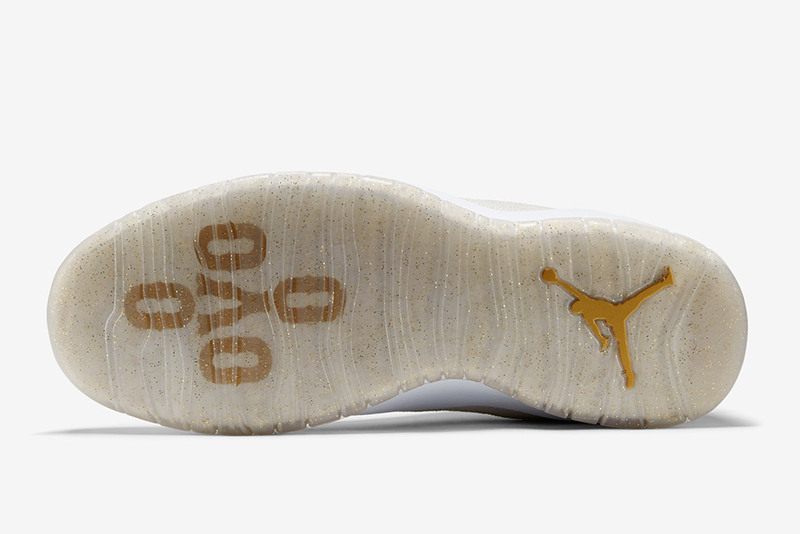 OVO branding on the outsole and inner sole complete the sneaker's coveted design. There is no release date set for the Air Jordan 10 “OVO” yet, so stay tuned to SneakerShouts as we keep you updated with all the latest info!